It’s crazy that December is half over! I was super on top of my gift shopping and planning of our holiday traditions. But, I kinda let my neighbor gifts fall through the cracks! So, this weekend I finally put them together! I knew I wanted to come up with a practical gift idea for some of my close girlfriends! 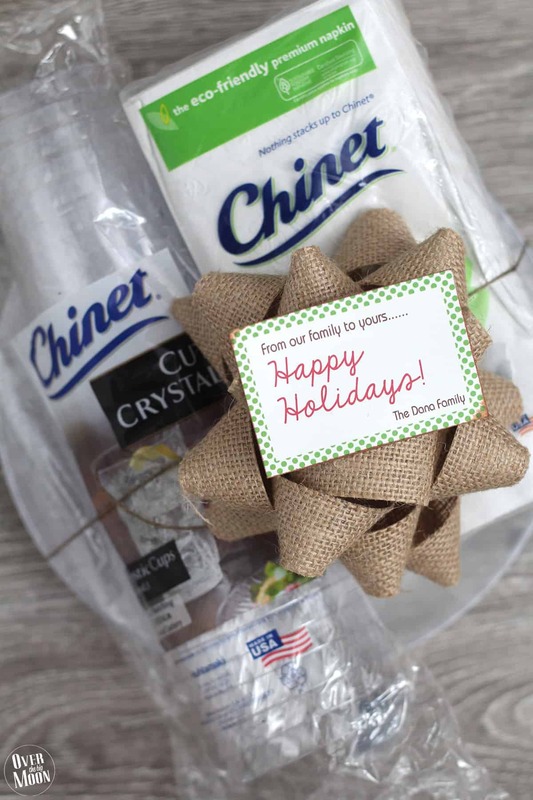 My kids teachers loved their back to school teacher gift idea this year, where I gifted them some Chinet® disposable tableware! 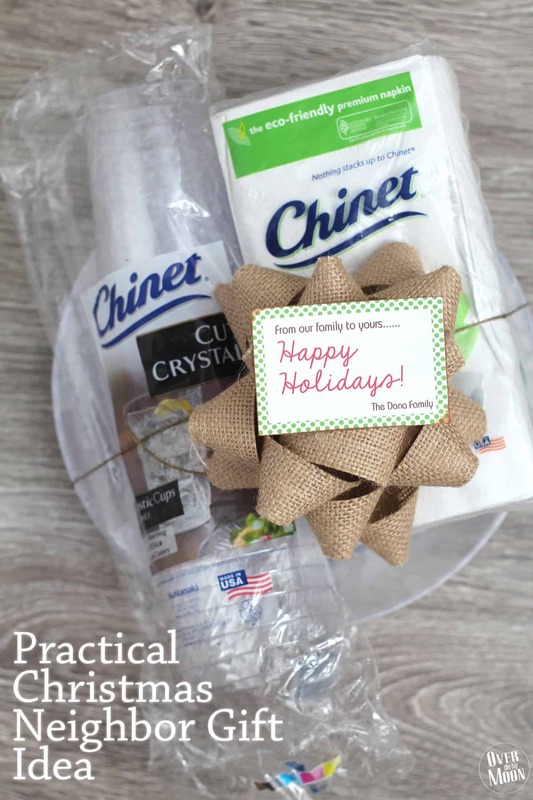 So, I decided to play on that and put together a practical Christmas neighbor gift idea, where I also gifted them Chinet® disposable tableware! 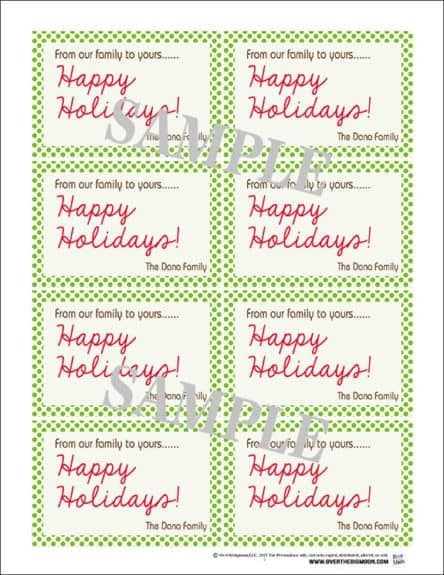 I put together a super simple printable gift tag that you can download and use with your gift idea too! You’ll find the download below! As for my party planning and many family get togethers – I generally turn to my Chinet® Classic White™ dinner plates! I love getting together with friends, but honestly, we’re so busy that it just doesn’t happen as often as I want. So, the holidays are the perfect excuse to not let anything else get in my way! The Chinet® brand makes serving and cleanup quick and easy, so I’m able to spend more time with my family and friends and not prepping and cleaning up! You just can’t go wrong with Chinet® Classic White™ dinner plates. They’re durable, so you know you can serve anything you want on them! Plus, the classic white look goes with everything! Even when all your different friends and family members bring an array of different dishes! Also, take note that BJ’s Wholesale Club is having awesome sales throughout the holidays! They’re having a month long sale on Chinet® Classic White™ dinner plates (115ct) and Chinet® Cut Crystal® plates and cups of all sizes from now until December 31, 2016. So, stock up now on all your entertaining essentials for holiday parties and Christmas. Shoppers can find a $2 off coupon for Chinet® Classic White™ dinner plates (115ct) and a $2 off Chinet® Cut Crystal® plates and cups of all sizes in BJ’s Journal. Now, back to my girlfriend gift! To start, gather the disposable tableware that you want to use! 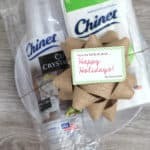 If you follow my blog, you’ll know that I’m Chinet® obsessed and I pretty much don’t use anything different! 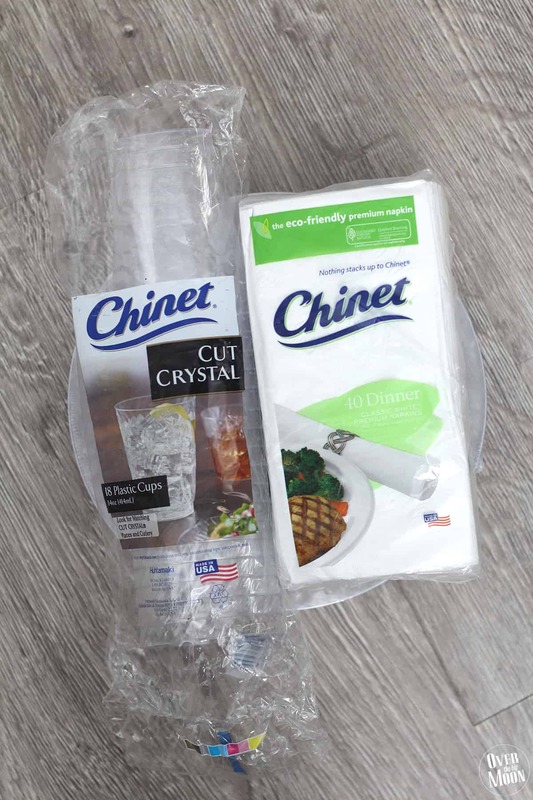 For these gifts I put together I gathered Chinet® Cut Crystal® dinner plates, Chinet® Classic White™ dinner napkins and Chinet® Cut Crystal® Plastic Cups! 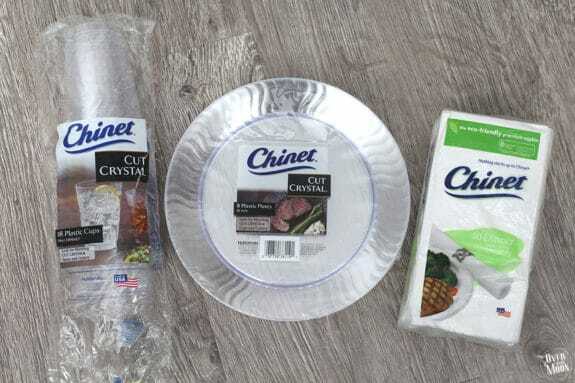 I then stacked the smaller items top of the Chinet® Cut Crystal® dinner plates! Next, I gathered the rest of the supplies I needed. 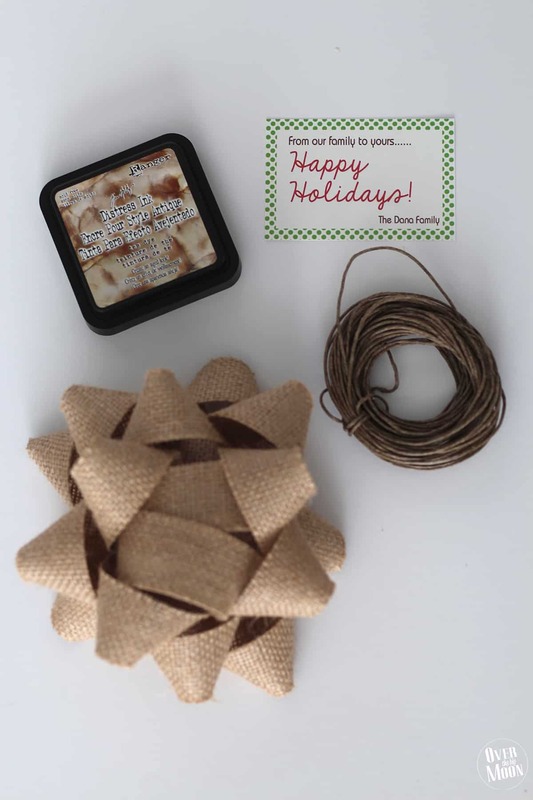 The gift tag, distress ink, twine, glue tabs and a bow! To give that gift tag a finished look I went ahead and took some distress ink to the edges. 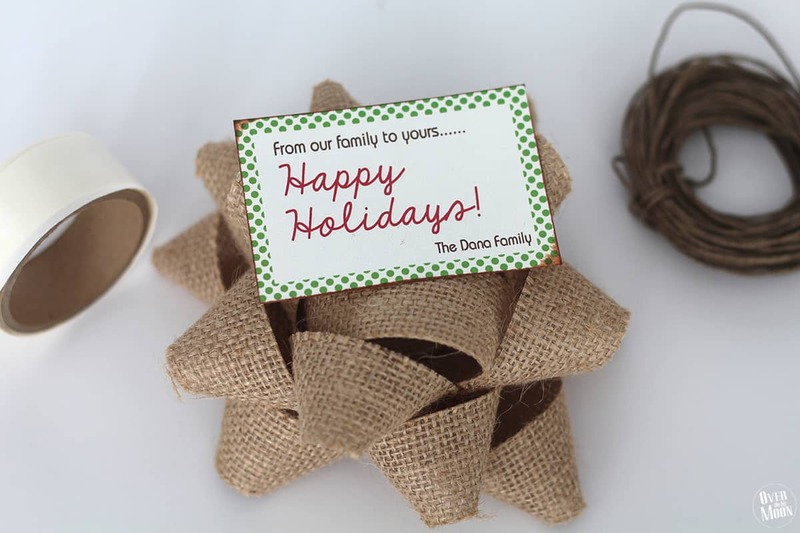 Then I used some glue tabs to connect the gift tag to the burlap bow! 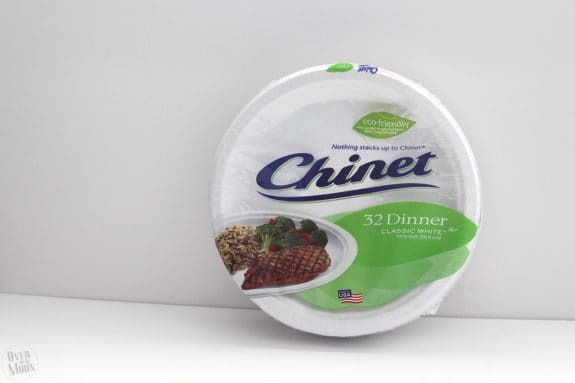 Use the twine to connect all your Chinet® Disposable Tableware. If needed, feel free to tape the twine on the back of the plates to secure it. Then place the bow with the gift tag onto of the twine, where it is tied into a knot. Now, you’re ready for delivery! Woohoo! Your girlfriends and neighbors are gonna LOOOOOOOOVVVEEE you for this! Promise!! Also, don’t forget to checkout that killer deal at BJ’s Wholesale Club!